India Outsourcing Advantages | Virtual Assistant Inc. Which country is better? 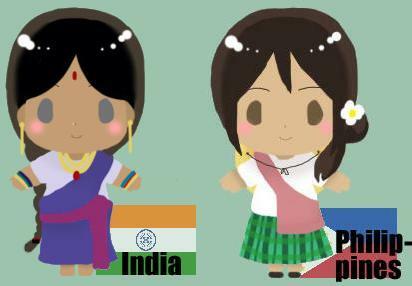 India or the Philippines? Companies find it hard to weigh the advantages of these two countries with regard to outsourcing. Grab a weighing scale and let’s judge who weighs better than the other. With the influence of British culture, India’s education system focuses more on science and mathematics which gives them an edge in Information Technology (considered the backbone of outsourcing operations). Moreover, with India’s edge in IT, US companies consider them as their first choice in software outsourcing. Another advantage that keeps India on the top of the list is its reliable bandwidth systems and its continuous development in their high speed communication technologies. Though they can’t speak with the proper American accent, India is more proficient in their written skills using English language. One of the many reasons why the Philippines has been one of the top outsourcing destinations is its undeniable proficiency in English language with a literacy rate of 94%. English serves as the second language to Filipinos and emphasizing the necessity of learning the language is shown during early years of education. Furthermore, its strong affinity with the western culture makes them effective communicators using English as a medium. Philippines provides businesses with higher cost savings. Wages are typically lesser than US rates. In addition to that, Philippines is well-renowned for its high quality of customer service. Although in some cases other outsourcing countries provide a lesser cost in other services, companies or businesses likely settles with Philippines high quality works. Businesses and companies internationally acknowledge the strength of Philippine’s outsourcing industry. Recently, Virtual Assistant Inc, a US based outsourcing company that specializes in website development and maintenance, accounting services and SEO, opened its own delivery center in the Philippines.